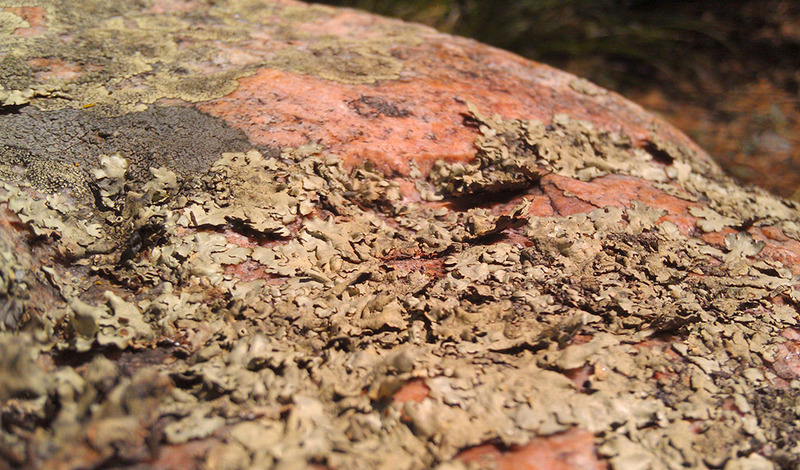 This is with an HTC Droid Incredible 2, set to sharpness -1 and with autofocus turned "off". 5 frames with Zerene Stacker, DMap, no retouching. On this cell phone, what autofocus "off" means is that the camera doesn't attempt to follow focus. Instead it waits for you to tap the screen to indicate what you want to have focused, then the camera moves the lens as required. So, to shoot a focus stack requires holding the camera in one place while tapping in different places, alternating with tapping the "shoot" button. All this while shading the screen to see where to tap, and not moving the camera so the various frames stay aligned, more or less. It's a bit less difficult than playing the piano, which I never did master. Still, I think the result is remarkably good, considering that this device is nominally designed for communications! There is one band of fuzz where I used too large of a focus step. Here is a single frame, for comparison.